Aw-shucks – the News Moms Need blog and @modhealthtalk Twitter handle each received a MERIT award in the 2016 Digital Health Awards competition! News Moms Need received the award in the Publications category while @modhealhtalk received the award in the Social Media category. Both the blog and Twitter account have won awards in prior years; we are happy to be honored once again. As you probably are already aware, this blog provides posts on topics including preconception health, pregnancy, postpartum, prematurity, life in the NICU, infant health, birth defects, parenting a child with a disability, and infant loss. It covers everything from how to choose a sunscreen during pregnancy to understanding pregnancy risks and complications. Our team of bloggers seeks to present evidenced-based information in a conversational manner. The @modhealthtalk Twitter handle specializes in providing up to date health content to consumers and engages them in Twitter chats on various topics related to the mission of the March of Dimes. If you are not currently following us on Twitter, please do! 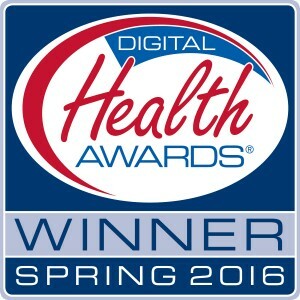 The Digital Health Awards contest honors “the world’s best digital health resources.” Hundreds of local, state and national health-related organizations and companies enter the competition. March of Dimes is in good company, as winners include American Academy of Pediatrics, American Heart Association, Cigna, Cleveland Clinic, Drugs.com, GlaxoSmithKline, Health Net, Inc., Johns Hopkins Health System, National Cancer Institute, Nationwide Children’s Hospital and Sharecare among others. The March of Dimes is proud to be recognized once again as being among the best in the consumer health education field.